With mid-century architecture and furniture on the uprise, it was only natural that textiles would take note and start to change as well. The pre war era was overrun with drab textiles that didn’t reflect the new playful direction design was taking. 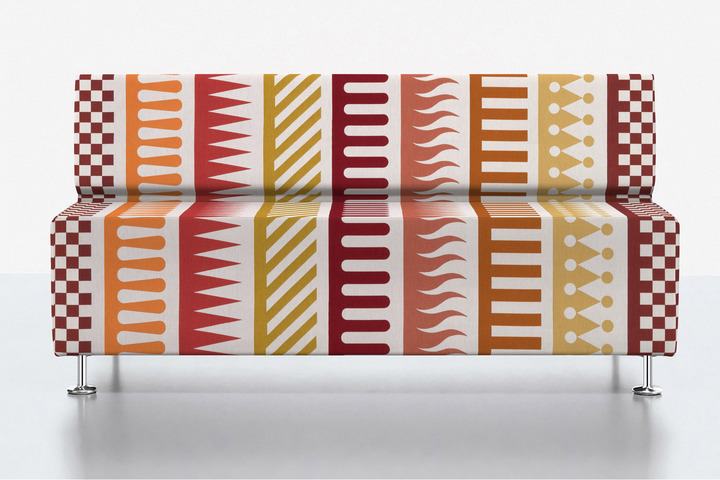 Textile designers and manufacturers, such as Lucienne Day, Alexander Girard, and Knoll, were essential to overhauling the industry and introducing textiles that would perfectly compliment the new design classics. Bold colors, nubby textures, and geometric prints were now used to highlight the modern silhouettes. 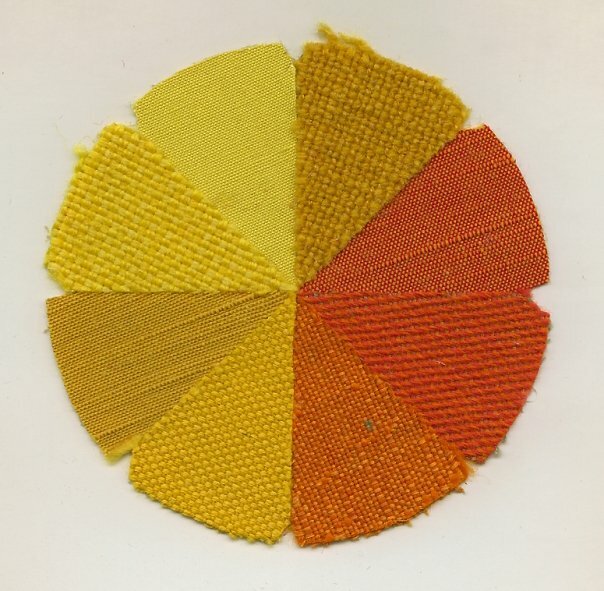 Taking note from their surroundings, textile designers were working with a new color palette. Earth tones, such as deep grays and rich browns, were used as large canvases in the home. Burnt oranges, mustard yellows, and deep reds were just some of the pops of color used to accentuate this earthy palette. On the other side, bright, bold colors were in place to give punch to the simple lines of the new pieces. Lime green, royal blue, and poppy red would be used sparingly in conjunction with open spaces and large windows. The impact was a fun, daring and exciting interior. 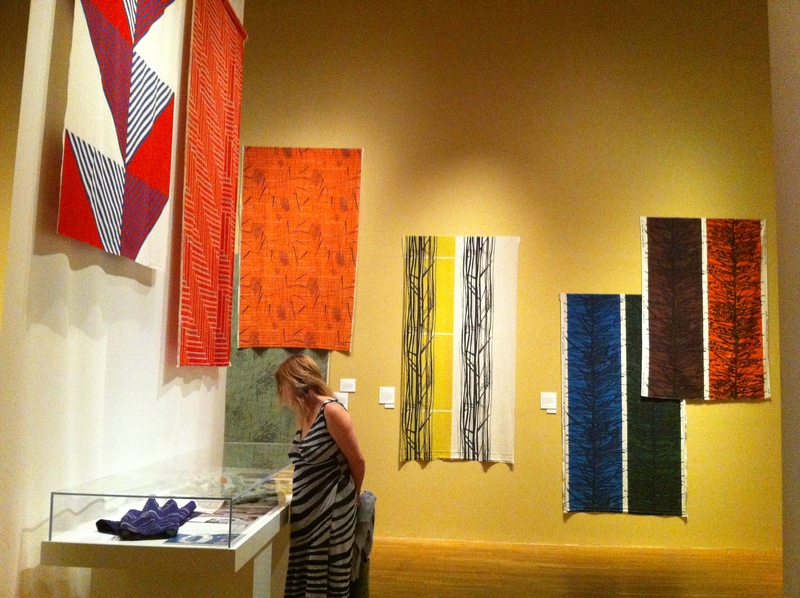 Lucienne Day’s fabrics on display at the Textile Museum in Washington, D.C.
Palio pattern fabric by Alexander Girard. Alexander Girard was the head of the fabric and textile division for Herman Miller. He worked with George Nelson and The Eames and together created designs that set parameters for design throughout the world, and are still relevant today. His work was initially influenced by his architectural training. He eventually became interested in folk art and that started showing up in his designs. His designs are known for their bright colors and abstract forms. Some of his fabrics are still produced by Maharam today. Classic mid-century fabrics from Knoll. Florence Knoll preferred to display the fabrics in a wheel pattern. The resurrection of mid-century modern design has also seen a resurfacing of mid-century inspired textiles. Nubby fabrics, bold colors and geometric shapes have been reinterpreted for today’s consumer. Some manufacturers such as Knoll and Maharam are still producing designs from some of the original groundbreaking designers.